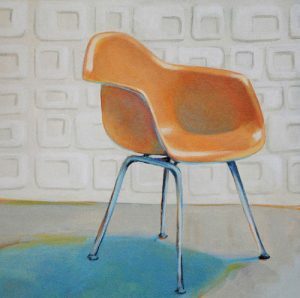 Eames Molded Plastic Armchair by Laura Browning. Artist Laura Browning was featured in the 2016 Design Issue, and we still can’t get enough of her work featuring some of the most beloved midcentury designs as her subjects. part of the fun 1 by Bethania Lima. 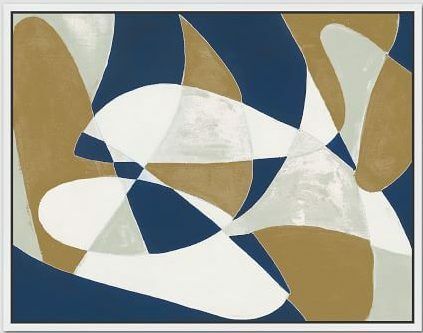 A little abstract goes a long way in making a big impact. This abstract work leaves plenty of scope for the imagination. 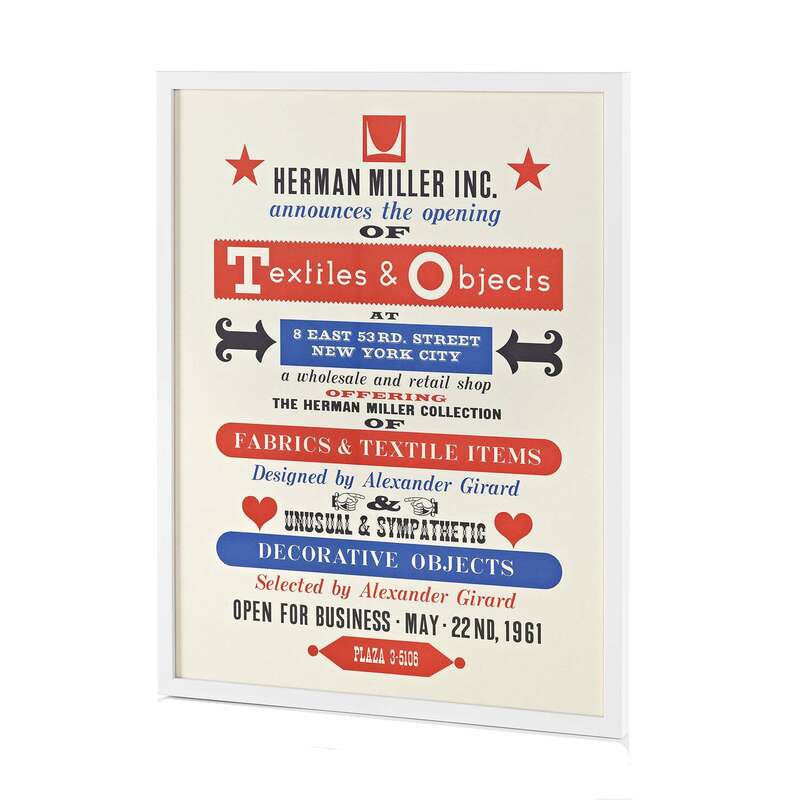 Textiles & Objects Poster by Alexander Girard (1961) from Herman Miller. Alexander Girard’s poster is an incredibly artistic twist on advertising. Minimalist Fish by Jenn Ski. Individually printed and signed, this design offers artist Jenn Ski’s refreshingly classic take on midcentury style art. 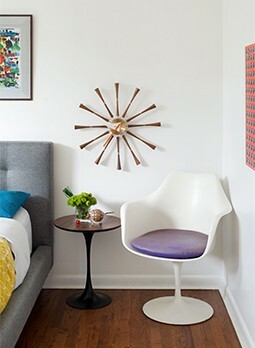 Hand & Dove by Alexander Girard. This 1972 design was part of Alexander Girard’s Environmental Enrichment Panels series—a collection of works specifically intended to enliven dull spaces, such as offices. 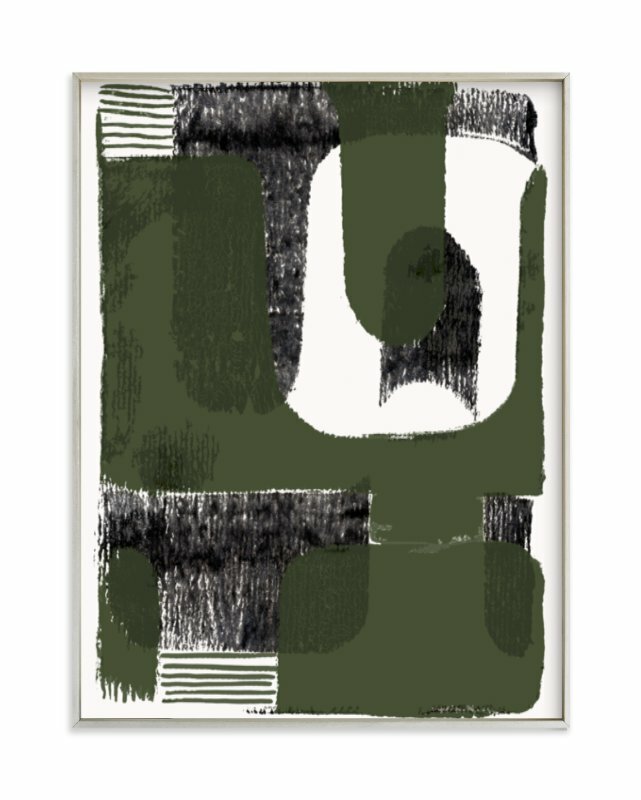 Framed Canvas Print – Venetian Colorblock. At 38″ x 30″, this custom-printed piece is the perfect scale for adding drama to blank wall space over the bed or sofa. Copenhagen by Trine Andersen, from Ferm Living. 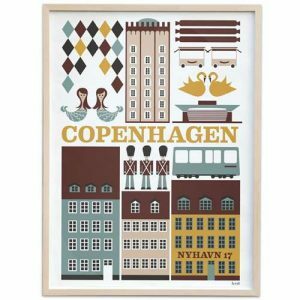 Celebrate your love of Danish design with a whimsical poster honoring the nation’s capital.